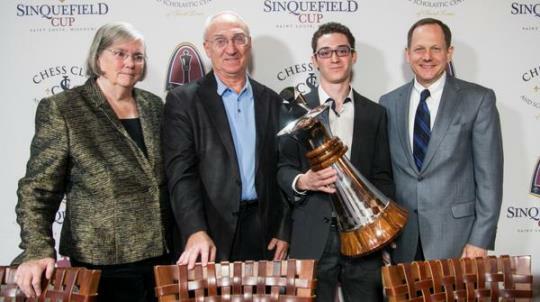 GM Fabiano Caruana has won the 2014 Sinquefield Cup undefeated, besting the strongest-rated field in chess history by a three-game margin. Article by Brian Jerauld. Caruana (8,5/10) went a record seven consecutive wins to start the U.S. super-tournament, then closed with three draws, including his final round match with GM Levon Aronian on Saturday. Considering the improbable streak and the caliber of opponents he achieved it against – all six players are among the world’s top-ten – Caruana’s performance in Saint Louis is already being argued as one of the best-ever. The reigning World Champion GM Magnus Carlsen, who sarcastically referred to Caruana’s performance as “depressing” to thunderous laughter in the post-event press conference, took second place with 5.5/10. In the tenth and final round, last year’s Sinquefield Cup winner Carlsen found his way into an early and easy draw-by-repetition with the only player who could have challenged him for second place, GM Veselin Topalov. Carlsen won $75,000. Topalov (5/10), who had begun the tournament with two straight losses, settled for $50,000 in clear third. Aronian (4/10) finished tied for fourth with GM Maxime Vachier-Lagrave, both winning $35,000 for their efforts. GM Hikaru Nakamura (3/10) drew with Vachier-Lagrave in the final round to earn $20,000. While the tournament is over, excitement is not, as two bonus events are to follow. On Monday, September 8, a special exhibition titled “Ultimate Moves” will feature teams of amateurs paired with Grandmasters, who will alternate moves and play through a knockout bracket. The exhibition will once again be broadcast live, beginning at 2:00 p.m. local, through www.USChessChamps.com and feature the commentary of GMs Yasser Seirawan and Maurice Ashley, along with WGM Jennifer Shahade. Tuesday’s exhibition will be a six-game friendly between Levon Aronian and Hikaru Nakamura, playing the popular chess variant of Chess960, also known as FischerRandom Chess. Both players are former World Champions to the variant. 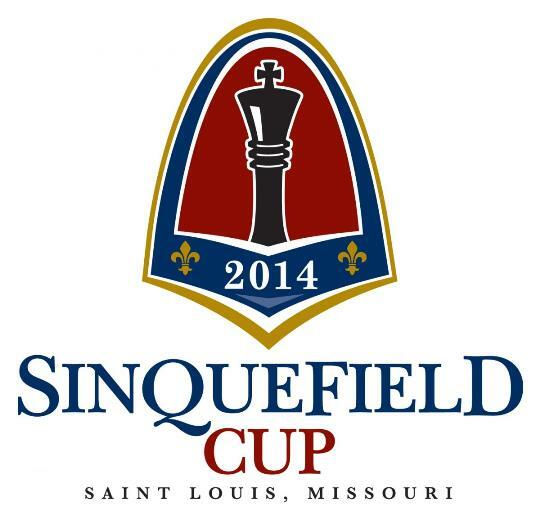 Last year’s inaugural Sinquefield Cup, which featured Carlsen, Aronian, Nakamura and American’ No. 2 Gata Kamsky, became the strongest tournament ever held on U.S. soil. The 2014 player field featured six of the top-ten players in the world and averaged a historical 2802 rating, with a prize fund that totaled $315,000.